One of my favorite restaurants isn't close to where we live. Adana is forty-five minutes away in Glendale. The light and airy dining room suggests a banquet hall in an elegant European boutique hotel. There are white tablecloths on all the tables, pastel landscape murals on the walls and delicate wrought iron framing the windows facing busy San Fernando Road. I would enjoy the food at Adana at any price, but with large entrees costing from $10.50 to $17.95, there's a special pleasure in being served an affordable, well-prepared meal. Even though there are 15 kababs on the menu, I mostly stick with the dark meat chicken kabob, the lamb chops and baby back ribs. A friend who joins me on the trek likes the lamb chops kabob. They are all delicious. Waiting for our entrees, we have an Armenian coffee, share a large plate of tabouli and catch up about family, work and movies. Serge, the waiter, or Edward Khechemyan, the owner and chef, brings a basket of lavash or pita (I prefer lavash) and a dish of sweet butter. 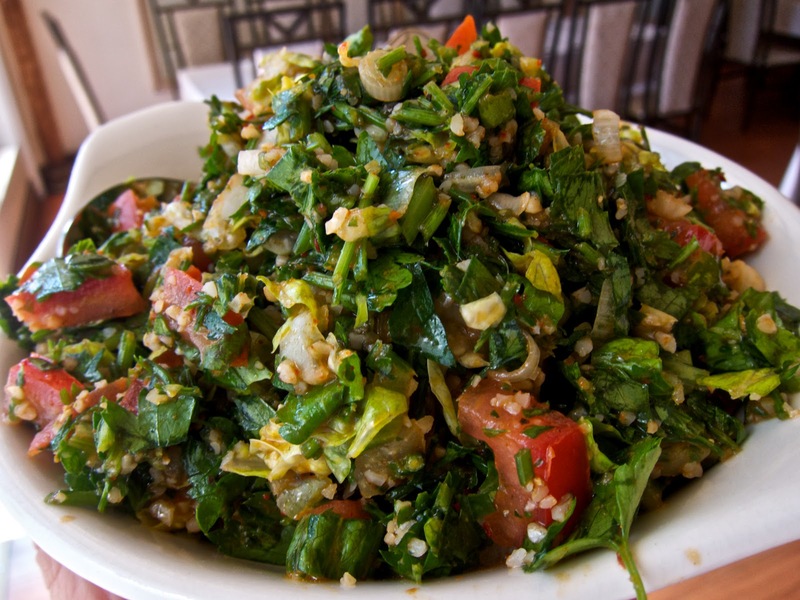 We eat the tabouli and lavash with relish. The freshly chopped Italian parsley, tossed with bits of tomato, scallions, olive oil and lemon juice, has a touch of heat. 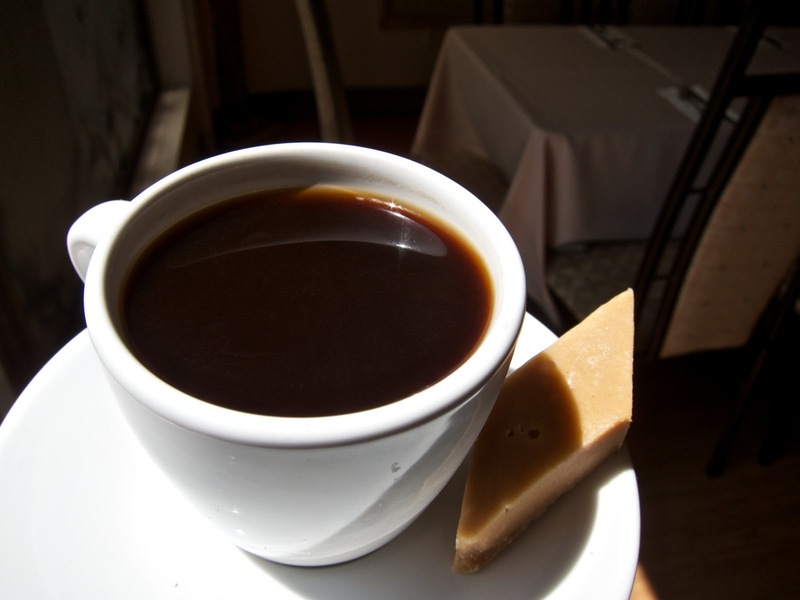 We talk as we eat and sip the strong coffee. Armenia is sandwiched between Turkey and countries previously aligned with the Soviet Union. 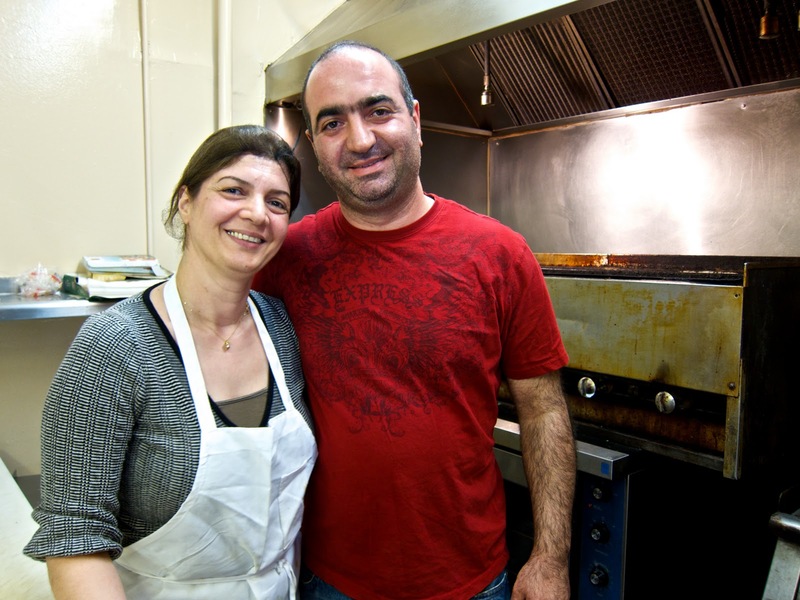 Their national dishes borrow from neighboring cuisines, with the strongest influence coming from the Middle East. The dishes arrive beautifully platted. The pieces of deboned chicken meat are lined up like pillows resting on a bed of rice. My buddy's lamb chops come with the same generous helping of rice as my grilled chicken. The lamb doesn't look like a kabob. The fat chops give off a fragrant, aromatic sweetness that is intoxicating. 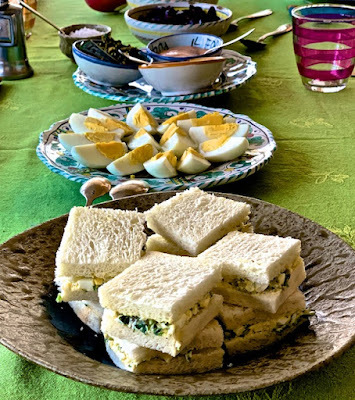 We had both selected the same side dishes: homemade hummus and a brightly colored Persian salad of roughly chopped ripe tomatoes, red onions, Italian parsley and unpeeled Iranian cucumbers. My friend attacks the lamb chops. 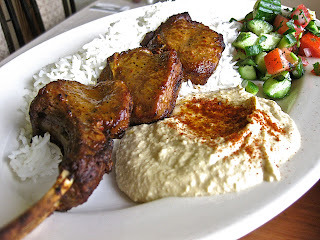 Holding the bare bone in his hand, he alternates bites of succulent, sweet meat with fork fulls of rice flavored with scoops of humus and the tomato-cucumber salad. 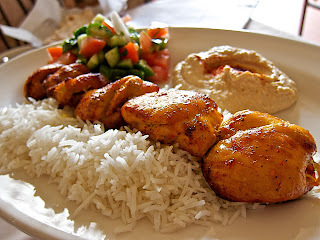 I eat with more deliberation, savoring each bite by spreading butter and hummus on a piece of lavash, adding a spoonfull of rice, Persian salad and slices of the moist, dark chicken meat to create a bite sized packet of aromatic flavors and complimentary textures. 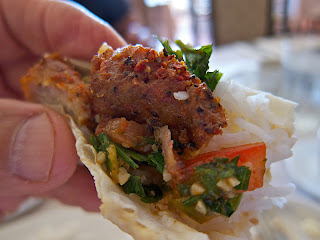 I construct the next packet—and the next—until I have eaten every last piece of chicken and grain of rice. Working in a closet-sized kitchen, Khechemyan could cut corners but won't. Even though the prices are little more than you would pay at a fast food restaurant, the food is prepared-to-order using the freshest ingredients. He insists on working with quality food and the proof is in each bite. 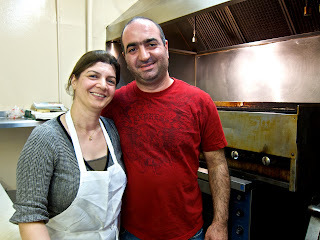 Khechemyan and his fellow chef, Sonik Nazaryan, are masters of layering flavors. 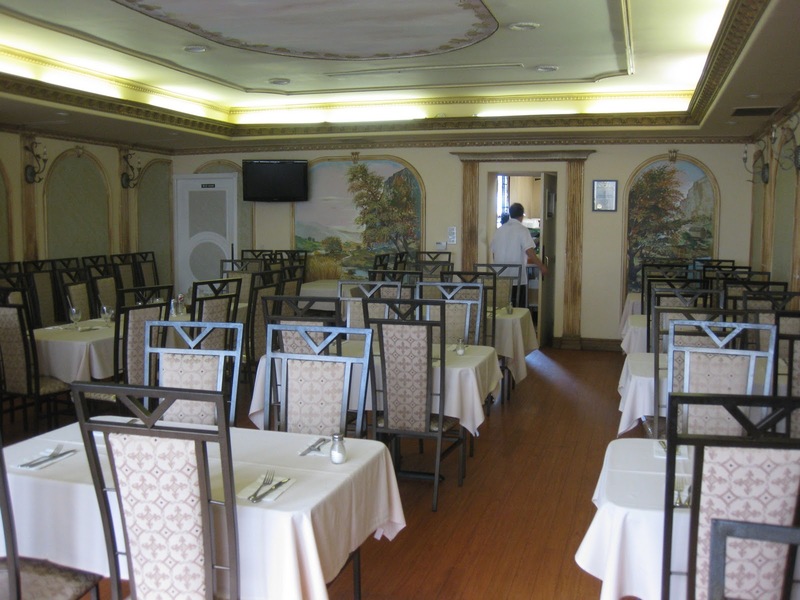 For a small restaurant, the menu has a good variety of dishes, including familiar American classics, including Philly cheese steak sandwiches, hamburgers and chicken breast sandwiches to name a few. Adana also offers many salads, thick, spicy lentil and barley soups and traditional Armenian stews. 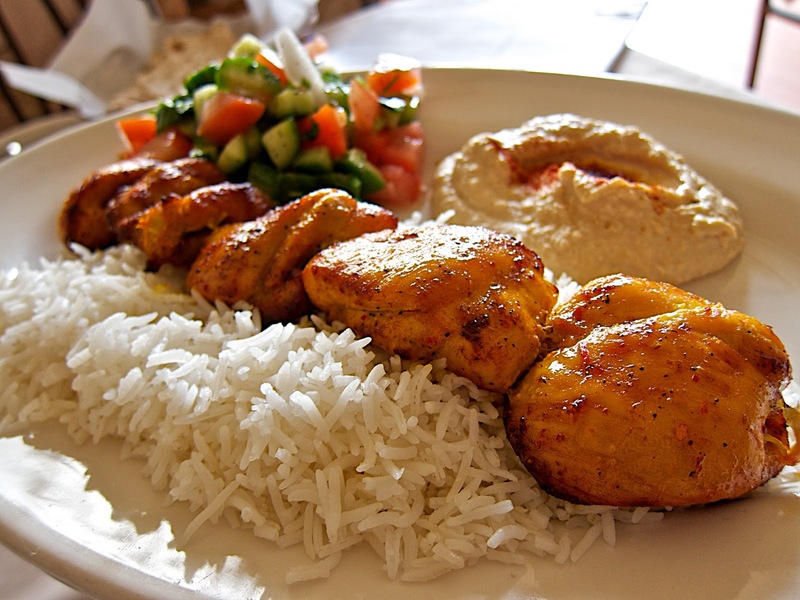 Finally, there are many popular Middle Eastern appetizers such as domeh, hummus, yogurt and cucumber dip. The combination of textues and flavors is such a pleasure. Any foodie in search of umami has to make the trek to Adana. That's what's at work here. All your taste buds are in play—salty, sour, sweet and bitter. My friend and I finish our meal with a second cup of Armenian coffee. We are completely satisfied and happy. Even though Adana is far from home, I go back as often as I can. It's that good.